As our jobs increasingly demand more than the (jurassic) standard of 40 hour work weeks, balancing career and life is difficult. However, on Glassdoor’s recent list of the best jobs for work-life balance, marketing positions occupied six of 25 slots. And, FlexJobs lists marketing one of the top seven fields offering flexible remote work options. Digital marketing careers are not only in-demand; they might be the key to having a life outside of work. Fortunately, jobs in digital marketing continue to grow after experiencing a 39% in 2015. SmartInsights reports that digital marketing claims the No. 1 spot among qualifications for employees. However, research conducted by Fractl and Moz (in which they mined over 75,000 job listings posted on Indeed.com during June 2015) found that even though marketing skills are in high demand, hiring managers struggle to find talent. “Many believe this rapid rate of change has caused a marketing skills gap, making it difficult to find candidates with the technical, creative, and business proficiencies needed to succeed in digital marketing,” Kelsey Libert, VP of marketing at Fractl, wrote in a blog post on the report. Top candidates possess a wide range of skills, from SEO and social media to Google Analytics and content marketing. 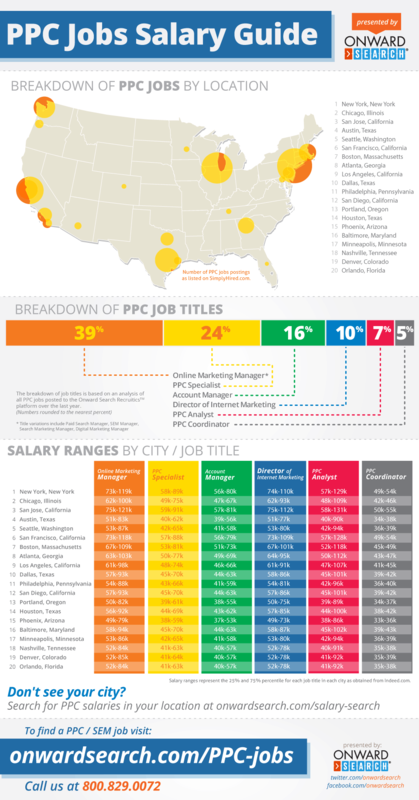 Fractl and Moz’s research uncovered the most valuable skill a marketer can possess is SEO. Job titles containing “SEO” had an average salary of $102,000, while jobs with “social media marketing” saw that number fall to $51,000. “The new marketer combines operational and data skills with a grasp of the big picture,” according to a report by The Economist Intelligence Unit and Marketo. Emphasis was placed on these qualities: digital engagement and technology (39%), strategy and planning (38%), data analysis (32%), customer experience (27%), advertising and branding (26%), and creative and graphics (16%). Our online master’s program in digital strategy will cover all of these skills, preparing you to take the next step in your career. And, with our Master Access benefit, graduates can return and review master’s degree courses forever, within their chosen specialization and in others offered by the UF College of Journalism and Communications.